Over 350 Huron High School sophomores shared their research on a wide variety of topics last week at the International Baccalaureate Middle Years Programme Personal Project Exhibition. The exhibition wrapped up months of in-depth, self-directed investigation into a subject of interest. Since the students were able to choose subjects of interest to themselves, a wide range of fields were studied, from foreign languages, advanced science projects, research on athletics, even the creation of a video game. This passion in the subject drives students far beyond what might be typically expected in a high school project. 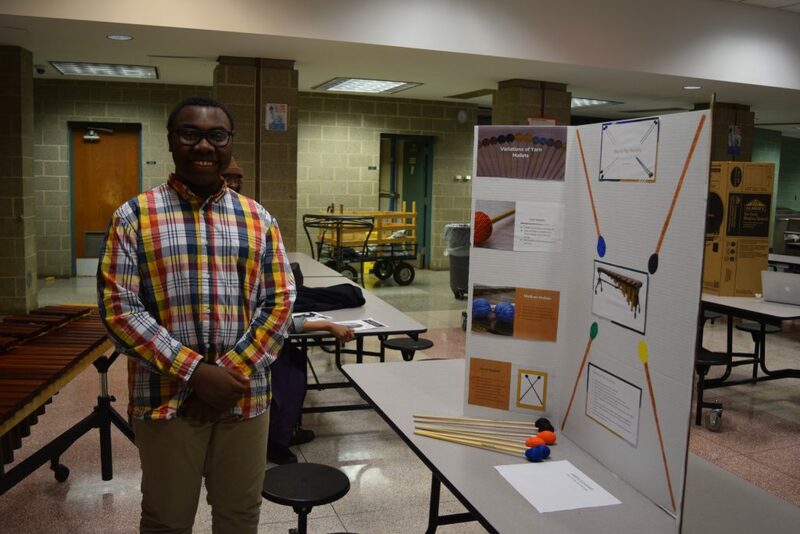 Huron sophomore Jaden Leverett stands next to his project, How to Play the Marimba. Cross Country runner Yaseen Daoud researched the benefits of running, first by reviewing studies on the subject, then conducting he’s own survey of his teammates. Daoud found the results locally lined up with existing scientific research. He admits being able to focus on a project that interested him led to a better final product. “As a runner myself, it was really helpful because I already had prior knowledge, versus if I didn’t really like the topic it wouldn’t have been as much fun or my best effort,” Daoud says. 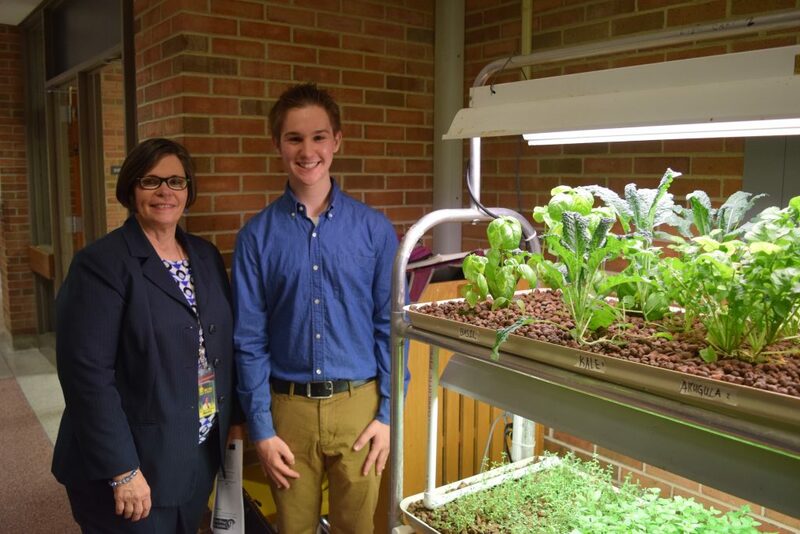 Huron Sophomore Luke Hurley explains his project on Aquaponics research, design, and build to Principal Dr. Janet Scwamb. While students were spending time studying their passions, gaining new insights, and developing a deeper understanding of a field of interest they were learning other valuable lessons at the same time. This includes mapping out a plan for how to complete a large project, following through to meet goals and timelines, overcoming obstacles and many others. When it came time for the exhibition, students really showed off the communications skills that are crucial no matter what future fields of study and work they enter. Middle Years Programme Facilitator Todd Newell says the students practiced explaining their projects in class and earlier in the day with other Huron students, and followed through talking with many parents of classmates they didn’t know. “I think you’re seeing the results of that tonight, where they have that freedom and confidence to talk about something passionately,” he says.